The new federal environment minister, Greg Hunt, “looked up what Wikipedia says” and concluded that Australia has always had bushfires in hotter months – but if he looked a bit harder, he might find that we’re getting more of those hot months and earlier. To be sure, Wikipedia is quite reliable; they even say so themselves. But a government minister can probably find more detailed information, as can anyone else if they dig a bit. The spread of bushfires throughout the year definitely appears to be increasing, and there’s a clear trend of them starting earlier. Now, it’s likely that the increased availability of data is a factor here, but I reckon this is at least as good as perfunctory ministerial Wikipedia research. But is this climate change? After all, we also have the prime minister Tony Abbott claiming that “these fires are certainly not a function of climate change,” and that the United Nations climate chief Christiana Figueres was “talking through her hat” when she linked them. Fire frequency is expected to increase with human-induced climate change, especially where precipitation remains the same or is reduced (Stocks et al., 1998). So far this year in their Fifth Assessment Report, the IPCC has only released the section on the physical science basis, with discussion of impacts yet to come. But they definitely predict that temperatures will continue to increase, and dry areas in the sub-tropics and mid-latitudes are likely to get drier – both factors that contribute to bushfires. Now, I tend to agree that you can’t attribute a single event (or events, considering there were over 70 burning at the same time) to climate change, but if you look at the trend you see what the scientists were forecasting all along. The crazy weather of the 2012-13 Australian summer – which apparently isn’t over yet – prompts the question of whether climate change means this is what we should expect from now on. The answer is yes, that’s the trend, but the details are a bit more complicated, and definitely worth knowing. Extreme heatwaves and catastrophic bushfire conditions during the Angry Summer were made worse by climate change… All extreme weather events are now occurring in a climate system that is warmer and moister than it was 50 years ago. This influences the nature, impact and intensity of extreme weather events. Having said that, it doesn’t mean that it’s always-always going to be like this. People tend to think that any weird weather is completely unprecedented and at the same time a permanent change, when in fact variation is a normal part of the system. To take an example: Melbourne weather is famously variable, so you’d think Melburnians would be used that. But every year when the first hot days arrive in September or October everyone says “summer’s come early! Time to put away the warm clothes.” Then it gets cold again, and everyone says “where did that come from? Oh well, guess there’s not going to be much of a summer this year.” And so on. Every year. Even this past summer. 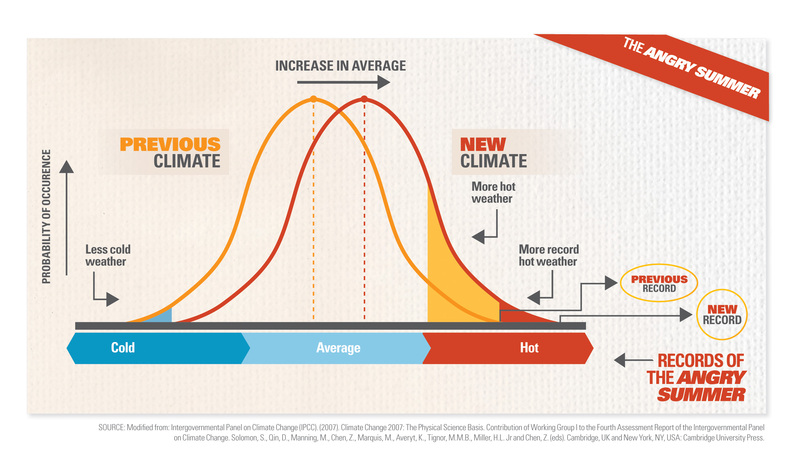 However, under climate change, the odds are skewed towards hotter weather, even as this variation continues. If there was no global warming, you’d still expect occasional records broken for extreme hot and cold weather. But with the 0.8°C warming we’ve seen under the past 100 years, that same variation around the average will produce slightly more hot records than cold ones. It’s important to remember this, so you don’t get fooled into thinking that global warming has stopped when it gets cold again in a few months time. After all, 0.8°C isn’t a very noticeable change when considered on a daily basis. So that’s the big picture, but to find out exactly what it means for weather in your area you have to turn to the climate scientists and their computer models. You can look them up yourself: for an overview, see www.climatechange.gov.au. For more technical and detailed report from the CSIRO and the Bureau of Meteorology, see www.climatechangeinaustralia.com.au. When you go to these sites, you’ll see patterns that are largely a continuation of what we’ve experienced so far. Temperatures will rise on average, with the greatest warming in the middle of Australia and the north-west. But there will also be more hot days and warm nights, including an increase in the number of days per year over 35°C. For instance, Melbourne currently has 9 days above 35°C per year (that’s average: in 2013 we’ve already had 14), but by 2070 it could be as high as 26. Brisbane will go from an average of 1 to up to 21. Darwin could be up to 308 days above 35°C every year. Rainfall is a little more complicated. On average, warmer weather puts more moisture into the atmosphere, but changing temperatures also change wind patterns. The top end is not going to have much of a drop in average rainfall, but the rest of the continent will – especially the southwest. Perth is already experiencing much drier conditions. But not only will rainfall reduce, it will also vary much more. We’re likely to have more very wet days and more very dry days. So yes, more droughts: again, the south-west will be worst hit, with an 80% increase in drought by 2070. What’s that you say, Mr Andrew Bolt? Doesn’t the recent flooding in Queensland and NSW prove these predictions wrong? No, because I said there’d be more variation. Australian scientists recently completed a mission studying algae and krill that live under Antarctic sea ice, in an effort to understand the workings of their ecosystem and how it may be affected by climate change. The 2 month investigation was part of the international Sea Ice Physics and Ecosystem eXperiment-II, or SIPEX-II, and it took place onboard the icebreaker Aurora Australis – currently back in Antarctica on its never-ending mission to transport supplies and personnel to and from Australia’s Antarctic stations. One part of the mission used an underwater robot called ROV – short for ‘Remotely Operated Vehicle’ – equipped with a light sensor to measure reductions in blue and green light beneath the ice, and hence estimate the amount of algae. The other part involved capturing larval and juvenile krill and examining their metabolism, growth rate and diet. These tiny crustaceans go through 12 larval stages, about which not much is known as previous research has mostly focused on adults, and even then usually in the Antarctic summer rather than winter as experienced by SIPEX-II. Krill feed on the sea ice algae, and are themselves food for larger animals like penguins, seals and whales. So together the krill and algae form the foundations of the Southern Ocean ecosystem. Other members of SIPEX-II looked at different physical and biological aspects, such as ice and snow cover measured with laser and radar-equipped helicopters, algae physiology, sea ice biogeochemistry, and water temperature, oxygen content and salinity. With climate change predicted to reduce sea ice by 35% by the end of this century, we need to know how the Antarctic ecosystem works so that we can understand the impact of losing its cover. Find out more about this project on the website of the Australian Antarctic Division. The Great Barrier Reef is the largest coral reef system in the world, stretching over 2,600 kilometres along the coast of Queensland and covering an area of 344,400 square kilometres. But over the past 27 years it’s lost half its coral, apparently thanks to human activity. Researchers from the Australian Institute of Marine Science in Townsville have been monitoring the amount of coral since 1985. Back then, the reefs they studied had 28% coral cover, but in 2012 they only had 13.8%. That’s a reduction of 50.7% (De’ath G, Fabricius KE, Sweatman H & Puotinen M 2012, “The 27–year decline of coral cover on the Great Barrier Reef and its causes”, Proceedings of the National Academy of Sciences, vol. 109, no. 44, pp. 17995-17999, doi:10.1073/pnas.1208909109). This reduction wasn’t uniform across the whole system, as the far northern reefs have remained fairly stable at about 24% coral cover. But there’s been a decline in the central region – which they classify as between Cooktown and Mackay – and in the southern region below Mackay, where there’s been a steep drop of over 75% in the past decade alone. The researchers also looked at what caused these reductions, by modelling possible causes against the observed fluctuations in coral cover. What they found was that 48% of the coral reduction could be attributed to tropical cyclones, 42% to outbreaks of crown-of-thorns starfish, and 10% to mass coral bleaching (primarily two events, in 1998 and 2003). Climate change would seem to be a factor here, as it’s been linked to the increasing intensity of tropical cyclones (see Knutson TR, et al. 2010, “Tropical cyclones and climate change”, Nature Geoscience, no. 3, pp. 157–163, doi: 10.1038/ngeo779 [PDF 641 KB]). Temperature also seems to be a major cause of coral bleaching, which is when the coral loses its symbiotic zooxanthellae. These single-celled organisms photosynthesise and provide energy for the coral polyps – as well as the vibrant colours of the coral. In turn, they get nutrients and a home. However, the zooxanthellae seem to be sensitive to temperature, as a rise of only 1°C can cause mass deaths of them and subsequently their host coral. But even though climate change is the biggest culprit, the researchers admit it’s unlikely that in the near future we’re going to make a big impact or reduce temperatures. So instead, they suggest concentrating on the crown-of-thorns starfish. If we could cut out just the starfish, but cyclones and bleaching continued, the coral cover would still increase by 0.89% per year. And we have a chance of doing this, because the crown-of-thorns starfish itself is influenced by human activity. As the name suggests, the crown-of-thorns, or Acanthaster planci, is a spiny starfish, or sea star. It’s the second-largest species of sea star in the world, with adults reaching 25-35 cm in diameter and having up to 21 arms. It feeds by latching onto coral with its multiple tube feet and then extruding its stomach out through its mouth to digest coral polyps. It sounds like a nasty, introduced species, but actually it’s been in the Great Barrier Reef for at least 8000 years. 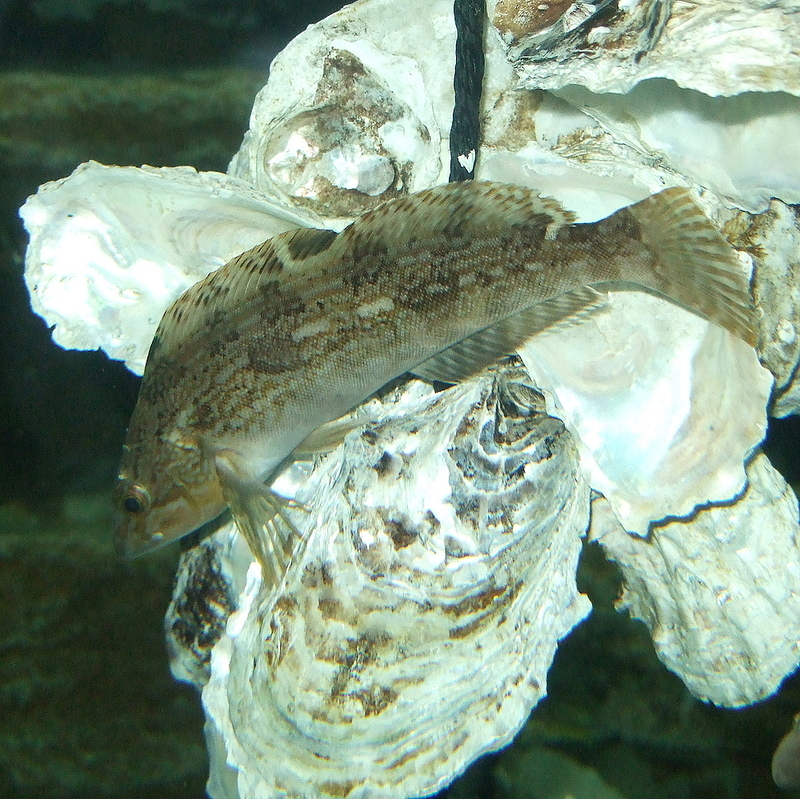 In fact, it’s found in coral reefs across the Indian and Pacific Oceans, from the coast of Africa to the coast of America. And at normal population numbers, it seems to be a natural part of the reef ecosystem. It prefers to eat the faster-growing coral species, giving the slower-growing species a chance to compete. But occasionally the numbers increase to plague proportions, and the starfish have to eat everything. Now it’s not 100% certain what causes these outbreaks, but the leading theory is that it’s due to water quality. The starfish larvae feed on phytoplankton, and phytoplankton numbers increase with inorganic nutrients in the water. And these inorganic nutrients increase greatly when fertiliser is washed off farmland, particularly after floods. So the researchers recommend more effort to improve water quality in order to reduce the numbers of crown-of-thorns starfish. This is in preference to hunting them down one-by-one – which is favoured by MP Bob Katter – because in the past that’s proven to be rather expensive and labour-intensive, but overall ineffective across the whole reef (although hunting does work for protecting a small area, so it’s good for tourist operators). In the end, it all comes down to pollution, whether greenhouse gases or fertiliser run-off. And until we can cut the former, we need to concentrate on the latter. The crown-of-thorns starfish may in fact be a natural feature of the Great Barrier Reef, but it’s our activities that turn it into a threat. 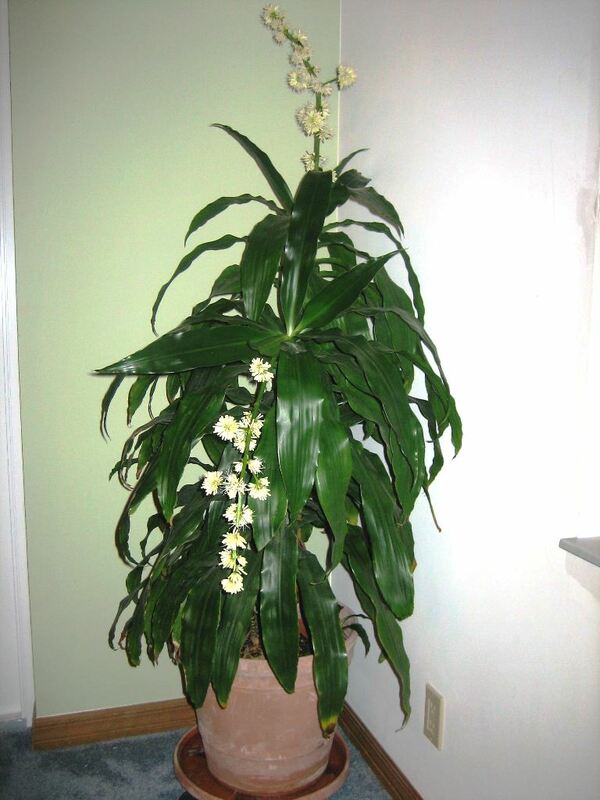 Indoor plants make homes or offices more pleasant to be in, but they can also make them healthier by removing pollutants from the air. The air you breathe when inside is actually more polluted than that outside. It contains all the fossil fuel emissions you get on the street, but in addition it has extra CO2 from people breathing out, as well as things called volatile organic compounds. Volatile organic compounds, or VOCs, are chemicals that evaporate from plastic or synthetic furniture, fabrics, fittings, paints, varnishes, solvents, and so on. They include substances like benzene – a known carcinogen – as well as toluene, ethylbenzene and xylene. Research by a team at the University of Technology, Sydney, has studied the ability for potted plants to remove these volatile chemicals. They used both laboratory settings with closed containers and real-world office settings, with a number of different plants, including Spathiphyllum wallisii ‘Sweet Chico’ (Peace Lily), Dracaena deremensis ‘Janet Craig’, Zamioculcas zamiifolia (Aroid Palm), Monstera deliciosa and Sansevieria trifasciata (Mother-in-law’s Tongue or Snake Plant). In the offices they found that for high concentrations of VOCs (greater than 100 parts per billion), the pot plants could reduce them by 50-75%. Interestingly though, the species of plant didn’t matter – instead, it’s what they call the ‘plant microcosm’, as bacteria in the soil or potting mix digest the VOCs. This means that generally the bigger the pot, the more pollution will be removed – although, there appears to be a limit after which adding more soil with more bacteria won’t remove more VOCs. Only about two standard-sized pot plants were needed to service an average 12 square metre office – an indoor jungle with dozens of plants was not required. The plants have another benefits too, like removing CO2 (although that requires them to be placed in sunshine to photosynthesise), reducing dust levels, stabilising temperature and humidity, and reducing noise. With all that and the ability to remove toxic chemicals, how can you go wrong? In 2007 the Intergovernmental Panel on Climate Change cautioned that “glaciers in the Himalaya are receding faster than in any other part of the world … and, if the present rate continues, the likelihood of them disappearing by the year 2035 and perhaps sooner is very high” (IPCC Fourth Assessment Report: Climate Change 2007, Working Group II: Impacts, Adaptation and Vulnerability, section 10.6.2). But they retracted that claim quickly, because nobody could actually demonstrate they had any data to back it up. Few Himalayan glaciers were actually measured in the 20th century, and none were measured in the seven years prior to the statement being issued. But a flurry of scientific research since then has shown a far more unpredictable situation than the generalisation that the Himalayan glaciers are melting. The Himalaya mountain range is a vast geological formation stretching thousands of kilometres through Asia, from Bhutan in the east to Afghanistan in the west, and contains glaciers in multiple climates which are responding differently to rising air temperatures. Those in the east are melting, but in recent years more than half of the glaciers further west near Pakistan have defied predictions by gaining mass. This is based not only on observations of the contraction or expansion of the leading edge of glaciers, but on satellite monitoring of glaciers measuring thickness of the ice. Glacial ice is fed by annual precipitation from rain and snow and lost through melting in the warmer parts of the year. Current understanding is that increased rainfall in these areas has produced the increase in size of the glaciers, combined with low summer temperatures reducing the annual melt. At the other end of the mountain range around Mt Everest, glaciers are thinning in Tibet and Nepal due to more ice melting from the glaciers each year than is being replaced. Many of these are fed by annual rainfall events like monsoons, rather than the year-round snow of some of the western glaciers, and reduced rainfall patterns could explain the continued weight loss. Research has also found, probably not surprisingly, that dirty ice melts more slowly than clean ice, because rocks and other material on the surface provides a level of insulation against the warmer air. Some of this analysis was only made possible by using recently declassified spy satellite photos shot in stereovision of the Russian and Chinese Himalayan borders dating back to 1959. An estimate from 2010 predicted the Asian glaciers lost about 55 billion metric tonnes of ice annually. However, a pair of gravity measuring satellites nicknamed Tom and Jerry – from the Gravity Recovery and Climate Experiment – have indicated only a fraction of that figure at about 5 billion metric tonnes. That’s about the volume of 5,700 Empire state buildings. One of the reasons such research is important is concern for freshwater supplies of countries fed by rivers originating in the mountains, such as the Ganges in India and the Yangtze in China. But calculations of the annual amount of water that flows into these rivers is that very little of the water comes from glacial sources, and the majority of flow in these epic rivers comes from more localised seasonal rainfall further downstream in the catchment. The interaction of glaciers with climate and weather patterns are obviously dynamic, but the difficulties in measuring them can leave predictions about their future on thin ice. Mistletoe is a parasitic plant that most people think is only useful for triggering Christmas kisses and as an ingredient in magic strength potion from Ancient Gaul. But recently published research suggests that it plays a crucial role in its ecosystem. Professor David Watson and Matthew Herring of Charles Sturt University set out to test whether mistletoe is a keystone species – that’s an organism that appears insignificant but actually has a large effect on other species. The best way to test whether a species is a keystone is to remove it from an ecosystem and see what happens. However, that’s usually not only extremely difficult, but risks causing irreparable damage. In this case though, it’s possible to remove mistletoe without damaging their host trees. After obtaining the necessary permissions, the researchers and teams of volunteers spent two years removing 46 tonnes of mistletoe – predominantly Amyema miquellii, known as either Box, Stalked or Drooping Mistletoe – from 17 woodland sites in the southern Riverina region of New South Wales. They then waited another three years before returning to compare the changes with 11 control sites and 12 where mistletoe was naturally missing. As predicted, the absence of mistletoe affected the local bird population, with a third of species missing after only 3 years. But what was surprising was that the birds affected weren’t those that nested or fed in mistletoe, but instead it was the insect-eaters. Watson believes that this is because mistletoe drops more leaf litter than its host tree, so its removal takes away the habitat for the insects on which the birds feed. This study is believed to be the first test of a keystone plant, and the most rigorous ever test of any keystone. Its unexpected outcome demonstrates the subtle dependencies that can exist in ecosystems, and how a single species may do more than you think. The Common Myna (Acridotheres tristis) is hated so much that on ABC’s Wildwatch it was voted Australia’s number one pest or problem, above cane toads and rabbits. So much, that even when research shows it might not be worth trying to eradicate, newspapers report the exact opposite. In fact, their only redeeming feature seems to as an easy source of headline puns. Common Mynas are also known as Indian Mynas, and as the name suggests they originally came from India. But, perhaps because they thrive in human habitats, they’ve since spread throughout the world, and are found on every continent except Antarctica. So they’re an invasive species, but how damaging are they really? Well, it’s actually hard to tell. They lay their eggs in tree or wall cavities, and compete with native species that do the same. And they mate for life, forming a formidable pair that aggressively defends a 1-3 hectare territory from other birds. This tendency to attack smaller birds is probably one of the reasons people hate them. Although, I should point out that many of these incidents are mistaken identification of the even more aggressive native species, the Noisy Miner (Manorina melanocephala). They both look fairly similar, with black heads and yellow beaks and eyeliner. The big difference, apart from the spelling, is that Common Mynas are mostly brown and the native Noisy Miners are grey. And instead of attacking in pairs, Noisy Miners tend to gang up on other birds in larger numbers. But whether they’re mynas or miners, the impact of competition is relatively difficult to measure compared to something like predation. If one species is actively killing another, it’s pretty easy to see the effect just by counting the victims. But competition is more subtle. So what Kate Grarock and colleagues from the Australian National University and the University of Canberra have done is to use data from a birdwatcher club, the Canberra Ornithologists Group, to track how populations of various species across Canberra were changing after the arrival of mynas (Grarock K, Tidemann CR, Wood J & Lindenmayer DB 2012, “Is it benign or is it a pariah? Empirical evidence for the impact of the Common Myna (Acridotheres tristis) on Australian birds”, PLOS One, vol. 7, no. 7: e40622, doi:10.1371/journal.pone.0040622). They tracked bird populations according to the number of years since mynas arrived – they were first introduced to Melbourne in 1862 to control insects in market gardens, but didn’t reach Canberra until 1968 – together with a lot of sophisticated statistical analysis that corrected for factors like urban development and type of vegetation. The bird species they analysed were split into three groups: there were other cavity-nesters, such as cockatoos, parrots and kookaburras; then there were birds smaller than about 25 cm, like Willy Wagtails and Magpie-Larks, which you might expect to be intimidated by Common Mynas; and finally there were large birds about 30 cm or bigger, like magpies and currawongs, that should be harder to push around and so are sort of a control group. What they found was a definite negative correlation between myna numbers and three of the cavity-nesting species: the Sulphur-crested Cockatoo, the Crimson Rosella and the Laughing Kookaburra. And seven of the small bird species were affected as well. 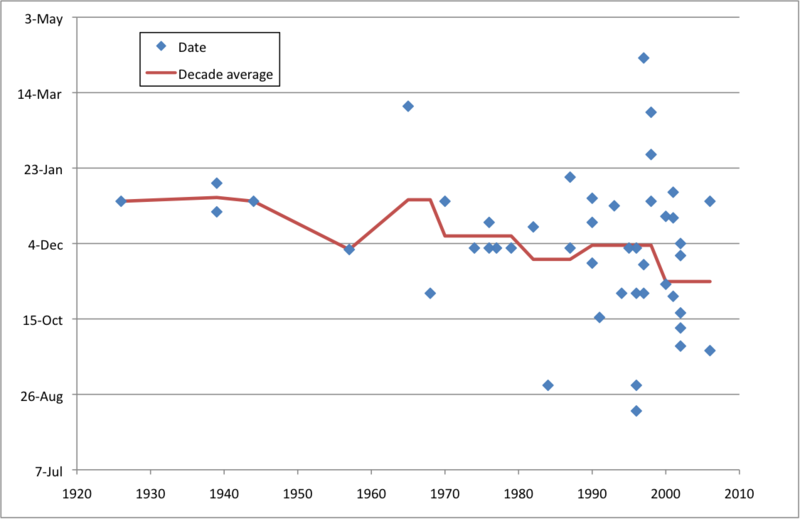 But an important point is that the majority of the species actually increased in number over the 29-year study period. It’s just that their increase seemed to be at a slower rate after the arrival of mynas than it would otherwise have been. There are two interesting aspects to this. The first is the point made earlier, that the level of hatred directed towards mynas in the community has led to some slightly inaccurate, hysteria-inducing science reporting. The Age newspaper on 13 August 2012 reported on the Canberra study but got the numbers wrong. For instance, Crimson Rosellas increased in number by 5.9 birds per km2 every year. But The Age mistakenly reported that rate of increase as the total population density. So because the rate of increase was slower in the presence of mynas – 3.5 birds per km2 per year slower – they interpreted that as a decline in overall numbers to 2.4 birds per km2. Which of course it wasn’t (actual Crimson Rosella numbers were around 50-150 birds per km2). These numbers may sound tricky, but they’re easy to verify as the entire research paper is available for free online (look under ‘Results’). However, that didn’t prevent the publishing of another article with exactly the same mistake in The Age on 23 September 2012. Unfortunately, the newspaper had already decided its conclusion that Common Mynas are a major pest that’s reducing species abundance. Which of course is the story that everyone expected to read, even though the actual research found an increase in the abundance of most of the species. Which brings me to my other point, which is that the biggest factor affecting species numbers was change in habitat. Many of these birds, including both Common Mynas and Noisy Miners, do best in urban or lightly-forested areas, and are not found in dense forests. The researchers concluded that attempting to eradicate Common Mynas would be very difficult and probably nowhere near as cost-effective as improving habitat to encourage native species.